A large rectangle has a continuous overall design of linked quatrefoils, giving the visual impression of overlapping circles. 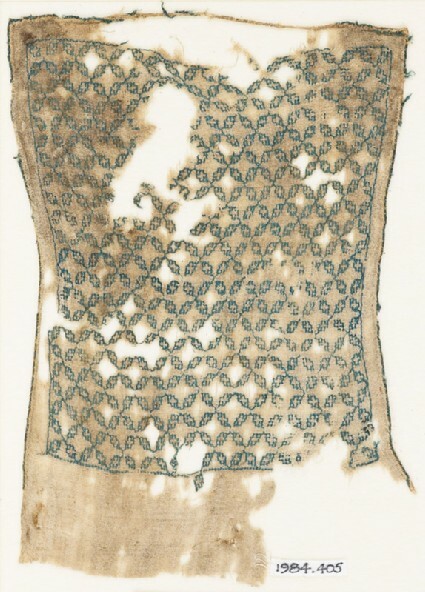 The embroidery outlines the shapes. There are finely rolled hems along three sides of the textile. These are whipped with silk; as a border decoration a single thread of the embroidery fibre is twisted around a metal thread (silver?) with a silk core, and is inserted along the hem line. The textile probably was used as a sash or turban cloth.